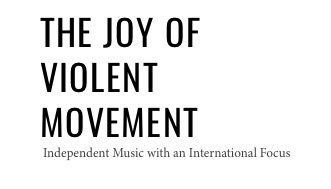 Thanks to our friends at Joy of Violent Movement for this great feature on Billy the Kid's second single off his upcoming EP. Check out the article below and then listen to "Oh, Emily" on iTunes, Spotify, Amazon Music, or wherever quality music is sold. Perhaps best known for lengthy stints in the backing bands for Charles Bradley, Sharon Jones and Lee Fields, as well as the horn sections of Antibalas and The Budos Band and for collaborating with Mark Ronson, the incredibly accomplished Chicago, IL-born, New York-based trumpeter, composer, producer and vocalist Billy Aukstik began writing his own soul-inspired compositions and founded the Brooklyn-based indie soul label Dala Records. And since the label’s founding, Aukstik has produced the debut efforts of a handful of locally-based soul and soul-leaning artists including singer/songwriter, John Fatum, The Rad Trads, Michael Harlen, Patrick Sargent and Camellia Hartman, as well as his own solo work under the moniker Billy the Kid. Slated for an April 2, 2018 release, Aukstik’s solo debut EP Stay Strong was recorded over the course of two years between two different studios — the first being an East Village-based DIY space, where Aukstik’s only recording gear was a Tascam 388 8-track tape machine, and the second being his new, self-built Bushwick, Brooklyn-based studio Hive Mind Recording. As a result, the listener may hear a subtle yet noticeable change in texture and fidelity throughout the EP; but as Aukstik explains in press notes, “the compositions and arrangements are crafted in a way that make the transitions from song to song smooth and welcoming.” Aukstik adds that the “EP could be considered a concept record by its evolution in sound from track one through nine, as well as the underlying story that can be pieced together as each song goes by.” Unsurprisingly, the EP features contributions from members of Charles Bradley’s Extraordinaires, Antibalas and The Dap Kings — and from the EP’s first single “Oh, Emily,” Aukstik will further cement his reputation for crafting sweeping soul indebted to the late 60s and early 70s; in fact, Aukstik has long employed the use of the Maestro Rhythm King, a 1970s drum machine made popular by Sly Stone and Shuggie Otis. But more important, “Oh, Emily” is a sweetly swooning, old-fashioned love song with an elegant horn line that to my ears makes a subtle nod to The Beatles‘ “Martha, My Dear” — although about an actual human.